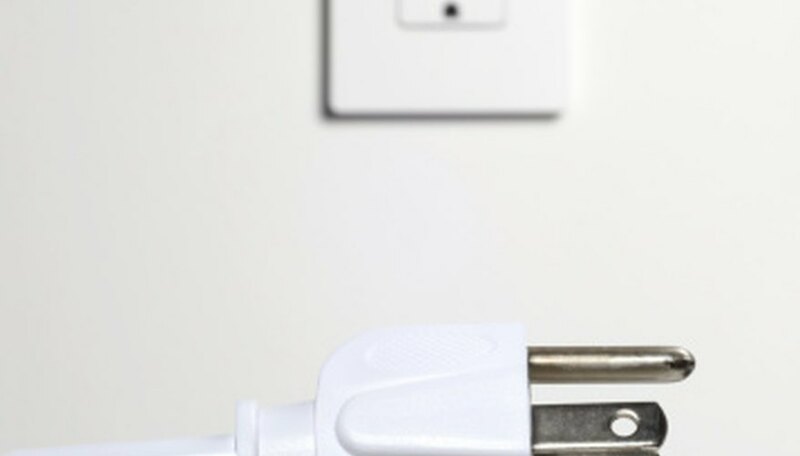 In the United States, electrical outlets provide 120 volts of electricity. However, certain kinds of electrical devices use 240 volts instead. To transform 120 volts of electricity into 240 volts, use a transformer. Invented in 1886, this device allows a single voltage supply to power any kind of device, no matter the voltage level needed. Drill two holes in both ends of both of the 6-inch steel bars. Use a drill bit of the same diameter as the bolts. Place the holes side by side, at right angles to the long axis of the bar. Wrap both of the 6-inch steel bars in electrical tape. Leave the holes on the ends exposed. The electrical tape will help prevent any accidental electrical shocks. Tape one end of the magnet wire to one of the steel bars, slightly above the holes in one end. Wind the magnet wire around the steel bar 600 times, covering it up to the holes in the other end. Tape down the wire on that end so the coil does not unwind. Cut the coil off the spool using the wire snips. Wind a coil around the second 6-inch bar, using the same procedure as for the first. However, instead of 600 coils, wrap it with 1,200 coils. Place the two coils next to each other so they are almost, but not quite, touching. Lay the shorter steel bars under the ends of the bars holding the coils. Place the marker into the holes drilled in the coil bars and mark the shorter bars with it. This should leave you with two holes side by side on each end of each shorter bar. Bolt the two short bars to the coil bars. You should now have the two coils mounted onto a rectangular frame, side by side. Sand 1 inch of the insulating enamel off of the ends of the coil wires, using the emory board. To use this transformer, hook the smaller coil to your 120-volt power source and hook the larger coil to the equipment needing 240 volts. This is a high-voltage device, and potentially very dangerous. Do not touch any exposed wires while this device is operating. Do not let children handle this device. Thompson, Jason. "How to Get From 120 Volt to 240 Volt." Sciencing, https://sciencing.com/120-volt-240-volt-7446316.html. 24 April 2017.